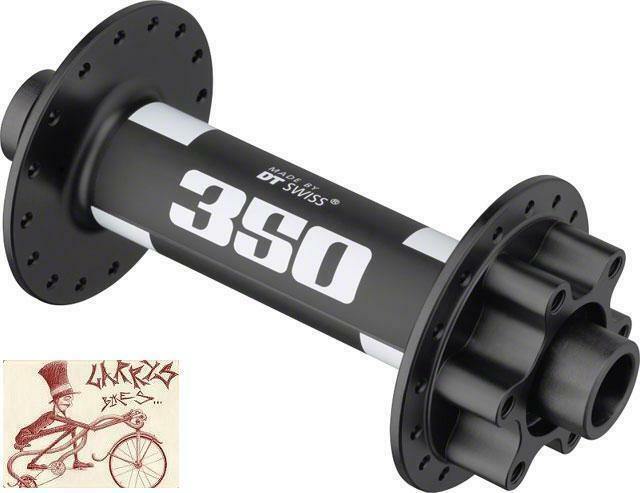 BRAND NEW DT SWISS FRONT HUB MODEL: 350 BIG RIDE FAT BIKE CONTACT FREE-SEALS AND HIGH PRECISION BUILD GUARANTEE SMOOTH BEARINGS AXLE SUPPLIED BY FORK MANUFACTURER CENTER TO FLANGE: 47.4 , 47.4 FLANGE DIAMETER: 58 , 58 FRONT AXLE: 15MM THRU X 150MM HUB DRILLING: 32 HUB/BRAKE COMPATIBILITY: 6-BOLT DISC COLOR:BLACK WILL COMBINE PRIORITY MAIL SHIPPING WITH MULTIPLE ITEMS.FIRST CLASS SHIPPING IS FREE. COMBINED SHIPPING FOR COMBINED PRIORITY MAIL SHIPPING FOR MULTIPLE ITEMS.DURING CHECKOUT "REQUEST A INVOICE" AND BEFORE YOU PAY I WILL SEND THE INVOICE WITH THE COMBINED SHIPPING AMOUNT.IF YOU PAY WITHOUT REQUESTING A INVOICE I WILL REFUND THE DIFFERENCE IN SHIPPING. FOR INTERNATIONAL BUYERS LOOK BELOW FOR INTERNATIONAL SALES. PLEASE ALLOW A COUPLE EXTRA DAYS TO RECIEVE YOUR ITEM(S) TO CLEAR CUSTOMS. IMPORT DUTIES,TAXES,AND CHARGES(TYPICALLY COLLECTED UPON DELIVERY OR PICKUP) ARE THE BUYER'S RESPONSIBILITY AND ARE NOT INCLUDED IN THE ITEM PRICE OR SHIPPING CHARGES.PLEASE CHECK WITH YOUR COUNTRY'S CUSTOMS OFFICE BEFORE YOU BUY TO DETERMINE WHAT THESE ADDITIONAL COSTS ARE.